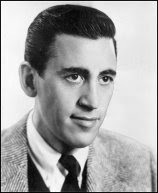 J. D. Salinger began his writing career with short stories, contributing mainly to The New Yorker Magazine. Two of his most famous short stories that appeared in that magazine were A Perfect Day for Banafish (1948), the story of a suicidal war veteran, and For Esme With Love and Squalor (1950). But it was with the publication of A Catcher in the Rye (1951)that Salinger received major critical and popular attention. A Catcher in the Rye has been said to be reminiscent of Mark Twain’s Adventures of Huckleberry Finn in a setting of modern angst and rebellion. Holden Caulfield, our “hero,” is an adolescent boarding school student attempting to run away from what he considers a phony adult world. For many who read this book, it became the quintessential story of teenage confusion and unrest. From the very first sentence we know we are in a world of loneliness and brutal honesty. Franny and Zooey, two longer short stories about the Glass Family, was published in 1955. 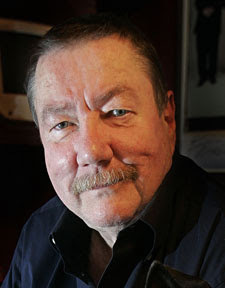 Robert B. Parker was one of my favorites. His detective series about Spenser (with an "s") was a true classic of the genre and he went on to write two other series, one starring Sunny Randall (another Boston P.I.) and one starring Jesse Stone (a police chief in a small Massachusetts town). Parker even wrote westerns! But the star of his writing pantheon was Spenser. The first Spenser novel, The Godwulf Manuscript (1973) was written when he was still teaching at a university in Boston, and is about Spenser's efforts to retrieve a manuscript that was stolen from a unversity library. He went on to write 37 more titles in the Spenser series. My favorites, and ones that I highly recommend, are: Mortal Stakes (about the Boston Red Sox), Looking for Rachel Wallace (about a Lesbian author that Spenser is hired to protect) and A Catskill Eagle (Susan is in trouble and Spenser and Hawk spring to the rescue). Parker did not always craft the most enduring of plots, but a visit with Spenser, Hawk and Susan was like a visit with old and dear friends - always enjoyable and remarkably entertaining. We found many reasons to call the novel a masterpiece: its themes are timeless, its symbolism rich, its plot compelling (at least in the second half), and its characters, if unlikeable, are true to life. We talked a lot about social classes and groups, the cultural disconnect that still exists between the USA’s East Coast and Midwest, and the changes Fitzgerald was observing in ‘20s America. 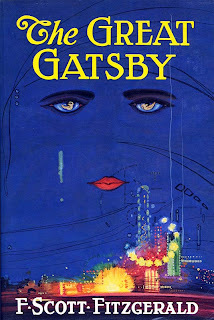 We debated Gatsby as a tragic hero: is he a great person with a tragic flaw? Is he sympathetic at all? Are any of the characters sympathetic, for that matter? Was Daisy even worth all the fuss? Like most readers of the novel, we also talked a bit about T.J. Eckleburg’s eyes, the symbolism of the valley of ashes and the meaning of that green light. Join us next month (1pm February 9th in the Stride Room) when we pair The Great Gatsby with Chris Bohjalian’s The Double Bind. Instead of rewriting the story of Fitzgerald’s classic, Bohjalian does something quite different: he sets his own story in the same fictional universe as The Great Gatsby. The heroine of The Double Bind, for example, spent her childhood swimming at a country club in West Egg that was once Gatsby’s mansion! Other writings: Windy City Blues (short stories), Bleeding Kansas and Ghost Country (single novels) and Writing in an Age of Silence (non-fiction). Sometimes it is hard to like V. I. Warshawski. She can be stubborn, self-righteous, swift to anger, with a knack of alienating even her closest friends. And for a time I stopped reading Paretsky’s books because all I wanted to do was give V. I. a swift kick. But her latest effort, Hardball (2009), is really, really good and I can heartily recommend it. The case starts out as a missing persons investigation - V. I. is hired to find the missing son and nephew of two elderly sisters currently living out their days in an Assisted Living/Nursing Home. The case gets quickly more and more complicated, however, and we are eventually drawn into the history of the Chicago race riots of the 1960s. Murder, police brutality, false confessions and civil rights violations (both then AND now) take center stage and Vic’s investigation comes a bit too close to home for anyone's comfort. 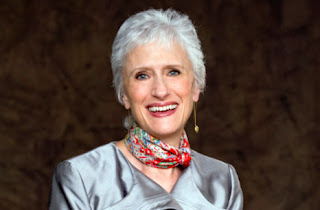 About the author: Sara Paretsky was born in Iowa and raised in Kansas, so naturally Paretsky’s detective fiction takes place in Chicago (primary the South Side) and stars V. I. Warshawski, a sharp-tongued, uncomfortably honest and incredibly stubborn private investigator whose family ties and work ethic complicate an already complicated career.